Kenneth Hafeli, Macomb alumnus, has shook hands with Presidents Gerald Ford and Jimmy Carter many times, is Facebook friends with former first daughter Susan Ford and counts the archivist at the Ronald Reagan Presidential Library in California as one of his best friends. It was all part of the job for Hafeli, who served as head archivist at the Gerald R. Ford Presidential Library in Ann Arbor until his retirement last May. He shared his interesting perspective in a talk: Growing up Grand: Gerald R. Ford’s Michigan, on Oct. 6 at the Lorenzo Cultural Center, as part of its The President’s Photographer exhibit. clearance before accepting the delivery. 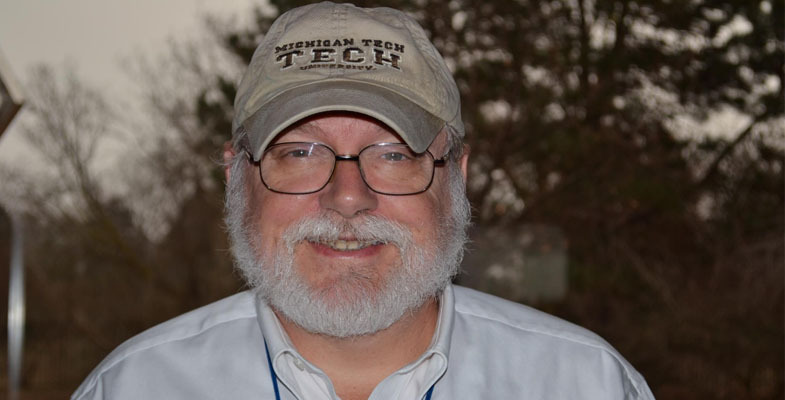 Hafeli worked at the Ford Library for nearly 39 years, arriving there fresh from Michigan Technological University, which he transferred to from Macomb. And as easily as he can relate significant moments in Ford’s presidency, Hafeli can list Macomb faculty who influenced his intellectual development while a student here. As department head at the Ford Library, Hafeli was part of an elite group of 3,600 that constitute the federal National Archives and Records Administration. And, as one might expect, it’s the type of job that can leave you speechless now and then.